Fashion Revolution Day is a global observance held on April 24. It was created to raise awareness of the true cost of fashion. 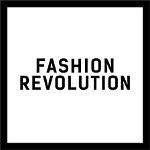 Fashion Revolution is a non-profit organization based in the United Kingdom that campaigns for systemic reform in the fashion industry, focusing on achieving greater transparency in the supply chain. It was created after the Rana Plaza building collapse. On April 24, 2013, Rana Plaza, a commercial building in Dhaka, Bangladesh, collapsed because of a structural failure. 1,133 people died and over 2,500 were injured. The building contained five clothing factories and its collapse is considered the deadliest garment-factory accident in history. The first Fashion Revolution Day campaign was launched on the first anniversary of the Rana Plaza collapse. It was initiated by British fashion designers who saw that the accident could catalyze positive change in the industry. On April 24, millions of people around the world participate in various events to raise awareness of social and environmental issues across fashion supply chains. Hundreds of events on ethics, sustainability and transparency in the fashion industry are organized by national chapters of Fashion Revolution in various countries.